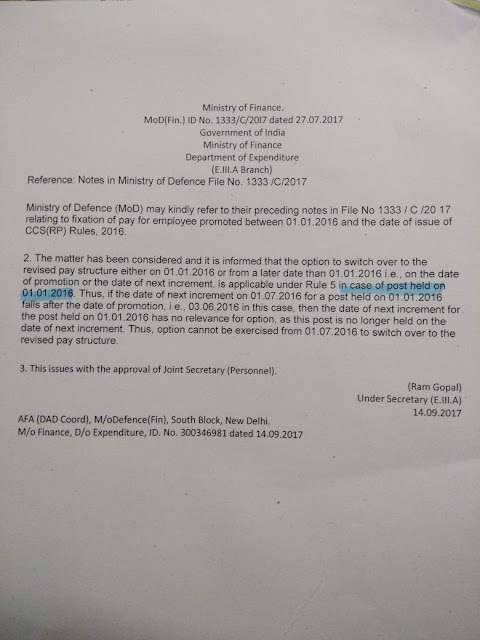 Ministry of Defence (MoD) may kindly refer to their preceding notes in File No 1333 / C /2017 relating to fixation of pay for employee promoted between 01.01.2016 and the date of issue of CCS(RP) Rules, 2016. 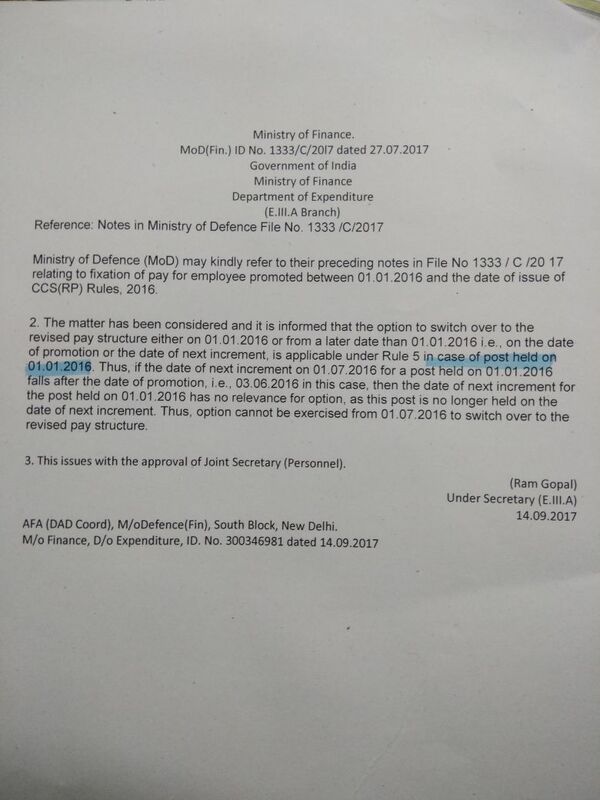 2 The matter has been considered and it is informed that the option to switch over to the revised pay structure either on 01.01.2016 or from a later date than 01.01.2016 i.e on the date of promotion or the date of next increment. is applicable under Rule 5 in case of post held on 01.01.2016. Thus, if the date of next increment on 01.07.2016 for a post held on 01.01.2016 falls after the date of promotion. i.e., 03.06.2016 in this case, then the date of next increment for the post held on 01.01.2016 has no relevance for option, as this post is no longer held on the date of next increment. Thus, option cannot be exercised from 01.07.2016 to switch over to the revised pay structure.